I have been doing some autumn rearranging of my site. I have now separated my posts into 3 categories so that you can view those posts most relevent to you. The categories are archaeology the profession (for all posts about archaeology the profession, archaeology publishing (for all posts relating to publishing and archaeology), and wildcard (for everything else). Here is the main page to see the different posts by categories. At some point soon I will have different RSS feed for each categories so that people can only subscribe to the posts they want to see. 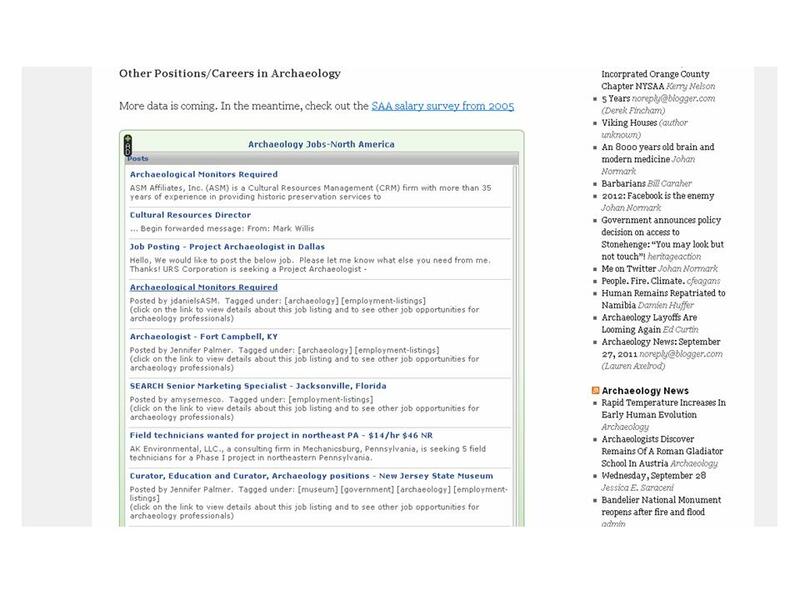 The first thing I have added is a feed bundle of archaeology job postings to the page Archaeology jobs and job conditions (US). Now, anyone visiting here can view the latest job postings from north america.